Following the overnight report that AT&T had paid Trump's personal lawyer Michael Cohen $600,000 for "insight" on the company's Time Warner merger, moments ago AT&T's top Washington executive and policy chief, and the man who authorized the Cohen payment - Robert Quinn - was forced out of the company, and is "retiring" after what AT&T called a reputation-damaging and mistaken hiring of Mike Cohen. 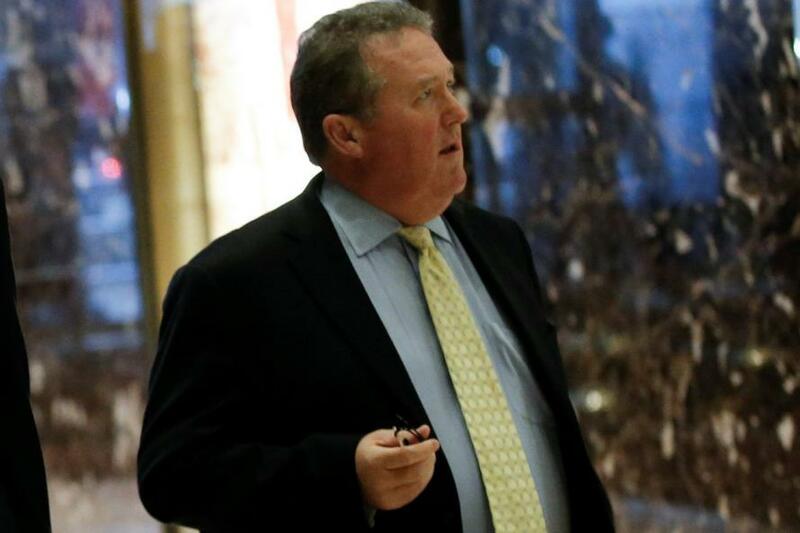 The company told employees in an internal memo Friday that Bob Quinn was retiring, but as the WSJ reported, a person familiar with the matter said Mr. Quinn was being forced to leave. However, it was not immediately clear why the hiring of Cohen was a big mistake: because it was corrupt, or because it failed to achieve the intended goal and "bribe" its way into a done deal with Time Warner, and instead all AT&T got for its $600,000 were several close on the record interviews with Robert Mueller and a lawsuit with the DOJ which has pushed the AT&T-Time Warner deal on the verge of collapse. 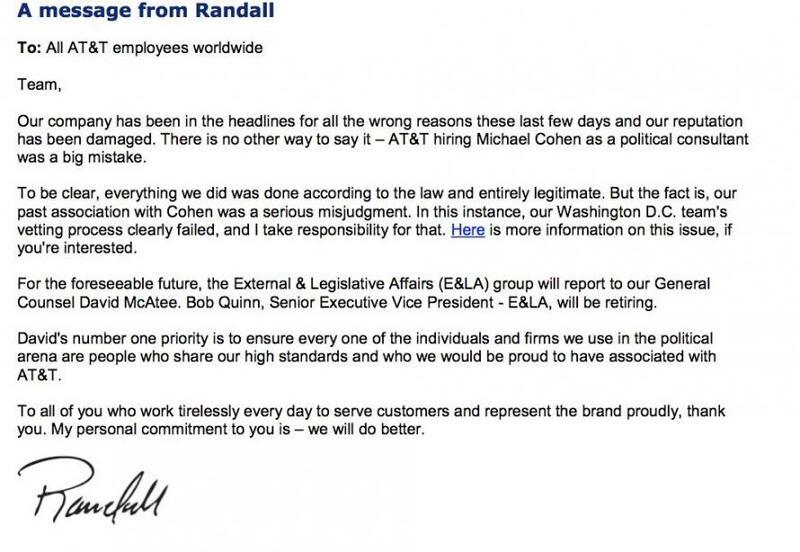 Of course, the simplest explanation is that "it was a big mistake" because... AT&T got caught.